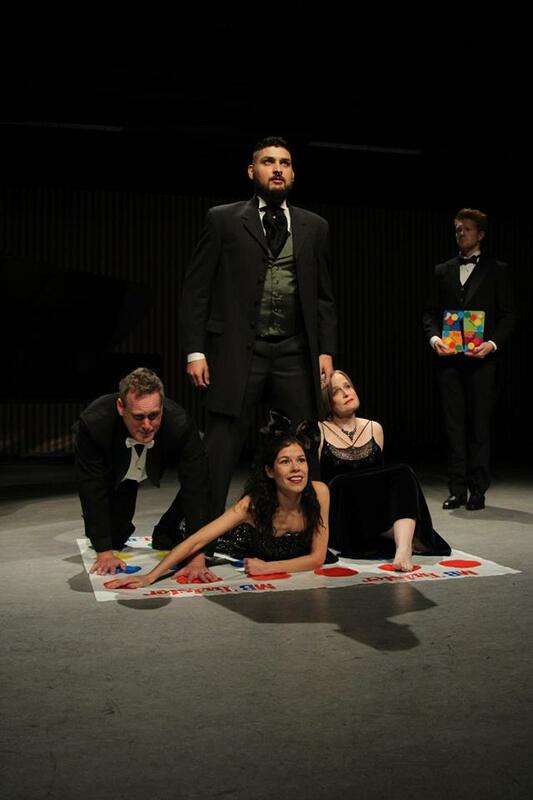 "The entire evening was a series of in-jokes for opera-lovers. There wasn’t a standard bit of business that was missed." 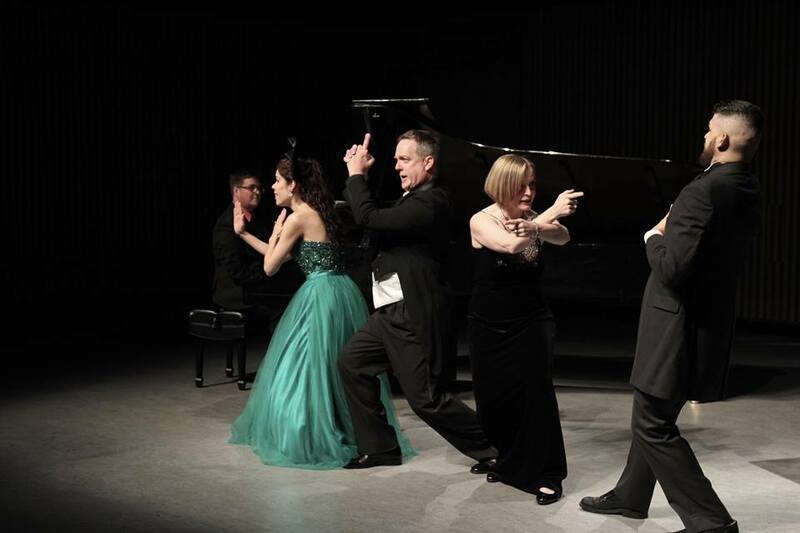 The Erato Ensemble mission statement is to dare “to be different, to stretch the boundaries of art song and chamber music, and to show the public that skilled musicians can bring melodic new music to Vancouver and beyond.” In terms of opera they fulfilled their mandate. Using Johnson’s send-up, they acted out every possible cliché in opera—for example, in the Trio, the singers sang “this is THE trio” over and over. Mezzo-soprano Melanie Adams had to sing a duet with soprano Dorothea Hayley, replicating every phrase her higher-voiced colleague sang with studied self-control as is so often the case for the mezzo! Hayley displayed amazing coloratura skills, working on the basis of ‘anything you can sing I can sing better, higher and longer,’ much to the chagrin of the entire cast. Adams had her moment of glory in an unaccompanied aria where she delights in the fact she has the wonderful freedom of a solo; can sing fast or slow, loud or soft, exactly as she chooses, and brilliantly. The proof of this was when the pianist got out of his seat in the audience, returning to the stage to play the final chord… and she was right on pitch! Tenor William George displayed all the normal tenor angst as he complained about his lack of high notes. He was petulant and hilarious. Given the composer only used four notes (A, B, D, and E), he had some justification. George’s robust, flexible vocalism was easily put in service of the ‘plot.’ His work in the final quartet, where the singers covered their faces with their scores while singing, was priceless. The finale, sung on the floor, was called “It is very difficult to sing in this position.” Too true. Baritone Javier Rodriguez-Martin had a number of ‘complaints’ concerning his role. The major one being the number of bars he had to count before singing… which ended up being fourteen loud, identical chords. His comic frustration was palpable as he sang “I must always count very carefully…” but he seemed to manage, his lyrics echoing the anger telegraphed by the score. Rodriguez-Martin sang all of this with a very well controlled baritone; sonorous and articulate. To add a little bit of confusion, bass Stephen Duncan popped up from the audience, sang a brief comment, and then left the theatre. 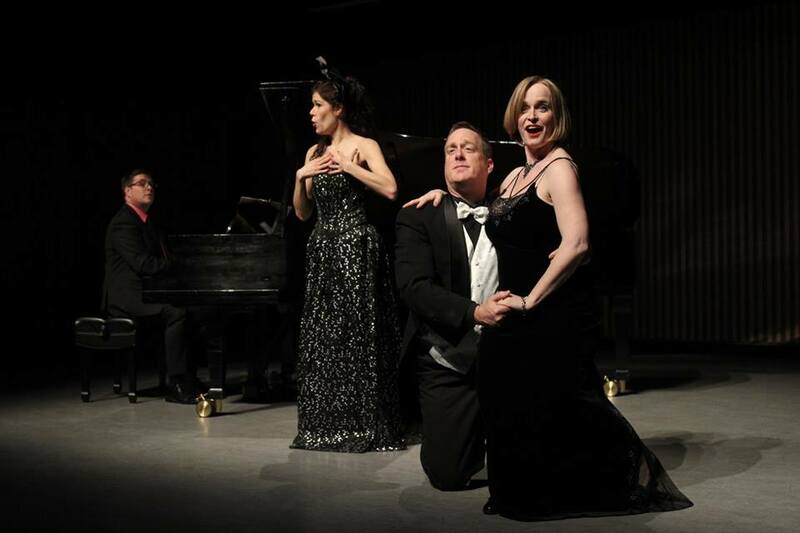 Erato Ensemble takes the $%## out of opera!